The industry as a whole only delivered a 5.4% return for clients, well below the S&P 500's return of 11.9%, according to data from eVestment. Poor performance and high fees drove money out of the money managers' funds, with about $70 billion pulled out of the funds last year, the biggest drop since 2009, according to data tracker HFR. But not all firms saw their funds shrink, according to Institutional Investor's Alpha's recently released 2017 Hedge Fund 100 list. The annual list, which ranks the world's largest hedge funds by assets, shows that many of the top funds' assets have grown by double digits. 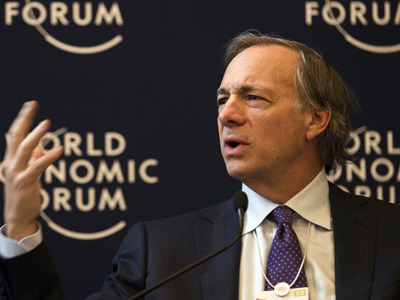 Ray Dalio's Bridgewater Associates, a Connecticut-based firm with $122 billion in hedge fund assets under management, took the top spot on the list. Its hedge fund AuM at the beginning of 2017 were up about 17% from the same time last year. The funds that witnessed the most impressive growth, according to the list, were so-called quant funds. Such funds rely on algorithms or computer programs to guide their investing. Renaissance Technologies, one of the best known and oldest quant firms, saw its assets balloon by 42%, year-over-year. It moved up to the fourth spot on the list, up from twelfth last year. Two Sigma, another quant fund, snagged a higher spot on the list. Its assets under management are up 28% from last year. Here are the top 11 funds by hedge fund assets, according to the full list.